Cintas is seeking a production Loader/Unloader for its Milford facility. 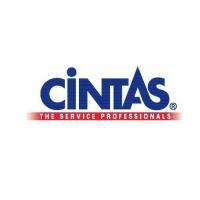 Cintas provides a variety of products to a large customer base each day. Those products include: uniform garments, carpeted floor mats, heavy duty rubber floor mats, dust mops, shop towels, aprons, hand soap products and air freshener supplies. To load and unload the products results in repeated bending, stretching, twisting and lifting as well as standing for 3 to 7 hours a day. Responsibilities include driving the trucks around the lot and loading and unloading the uniform garments and/or additional facility services products into and out of company trucks. Daily accuracy of products loaded and unloaded is necessary for inventory control and accountability. Please visit: http://www.cintas.com to apply.